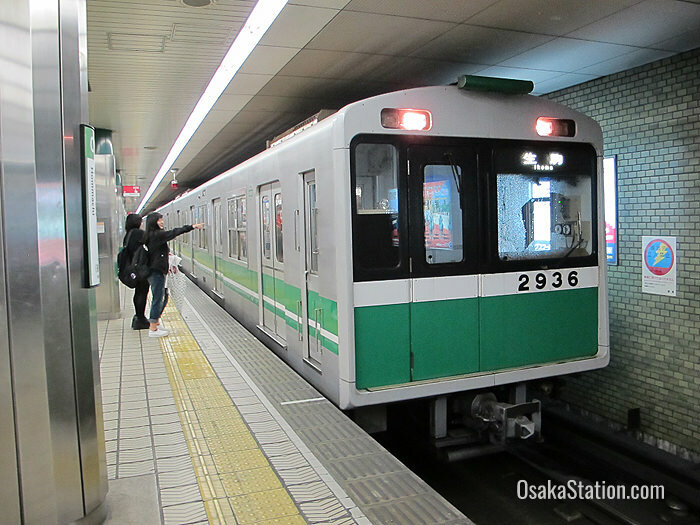 Osaka Municipal Subway’s Chuo Line runs from the west to the east between Cosmosquare Station and Nagata Station. Beyond Nagata Station this line is extended by the Kintetsu Keihanna line which continues eastward as far as Gakken Nara-Tomigaoka Station in the city of Nara. Osaka Municipal Subway and Kintetsu Corporation both operate through train services that run on these lines, and collectively the two lines are nicknamed “Yumehanna”. 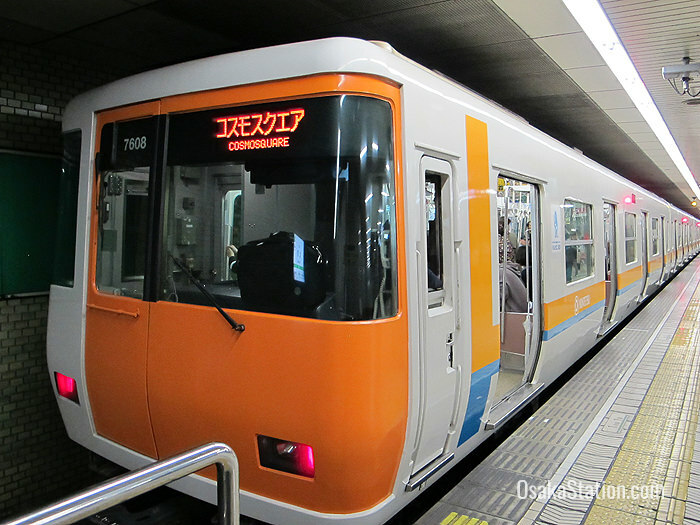 The Chuo Line connects with all seven of the other Osaka Municipal Subway lines and at Cosmosquare Station it also connects with the Nanko Port Town Line. Osaka Municipal Subway is not covered by the Japan Rail Pass. However, there are other discount passes that can be used on the subway and these are listed at the end of this article. Here, listed from west to east, are the key destinations on these lines with transfer points included. Fares and times are given from Cosmosquare Station. Cosmosquare Station is located in Suminoe Ward in western Osaka and serves the waterfront Cosmosquare commercial complex. Transfer here to the Nanko Port Town Line bound for Suminoekoen Station. Osakako Station serves Tempozan Harbor Village, an amusement complex known for its enormous Tempozan Ferris Wheel and the Osaka Aquarium (also called the Kaiyukan). Asashiobashi Station serves Yahataya Park with its sporting facilities; Osaka Municipal Central Gymnasium, and Osaka Pool. Transfer here to the Osaka Loop Line. Exit here for the baseball stadium, Osaka Dome. Transfer here to the Hanshin Namba Line. Hommachi Station is close to Utsubo Park and the Minami-Mido and Kita-Mido temples. Transfer here to Osaka Municipal Subway’s Midosuji Line and Yotsubashi Line. Exit here for Osaka Museum of History and Osaka Castle. Transfer here to the Tanimachi Subway Line. This station is at the southern end of Osaka Castle Park and is within walking distance of the Osaka International Peace Center. Transfer here to the Osaka Loop Line and the Nagahori Tsurumi-ryokuchi Subway Line. Transfer here to the Imazatosuji Subway Line. Takaida Station is close by Takaida-Chuo Station. Transfer there to JR West’s Osaka Higashi Line. Nagata in Higashiosaka City is the connecting station for the Chuo Line and the Kintetsu Keihanna Line. Ikoma is a city in Nara Prefecture and its best known tourist attractions are Mount Ikoma and Hozanji Temple. At Ikoma Station transfer to the Kintetsu Nara Line, the Kintetsu Ikoma Line, and the Kintetsu Ikoma Cable Line which takes passengers to Hozanji Temple and up Mount Ikoma. This station in the city of Nara is the terminus of the Kintetsu Keihanna Line.